Another month, another incredible collection from Emily de Molly! 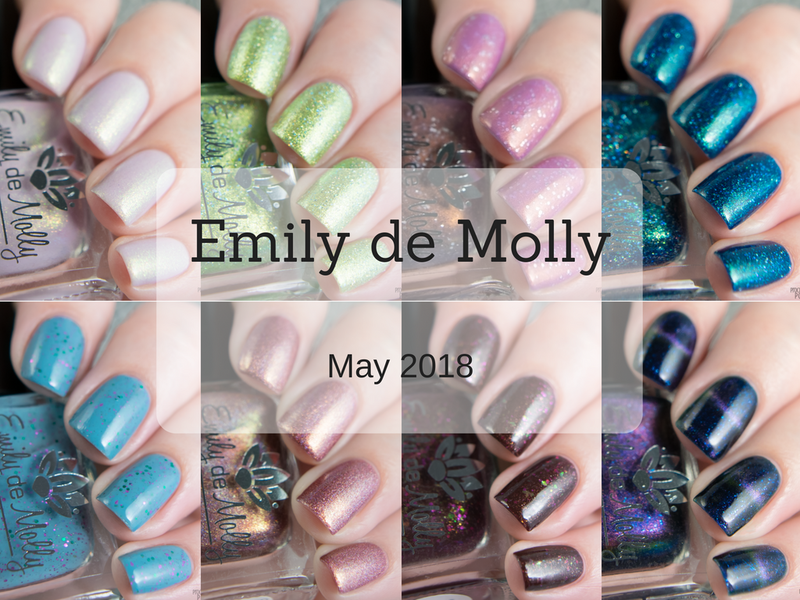 This might be one of my favourite months in recent memory as it really digs into all my favourite shades and finishes, while still having a great variation on offer. Let's take a look at the sparkling goodness for this month! 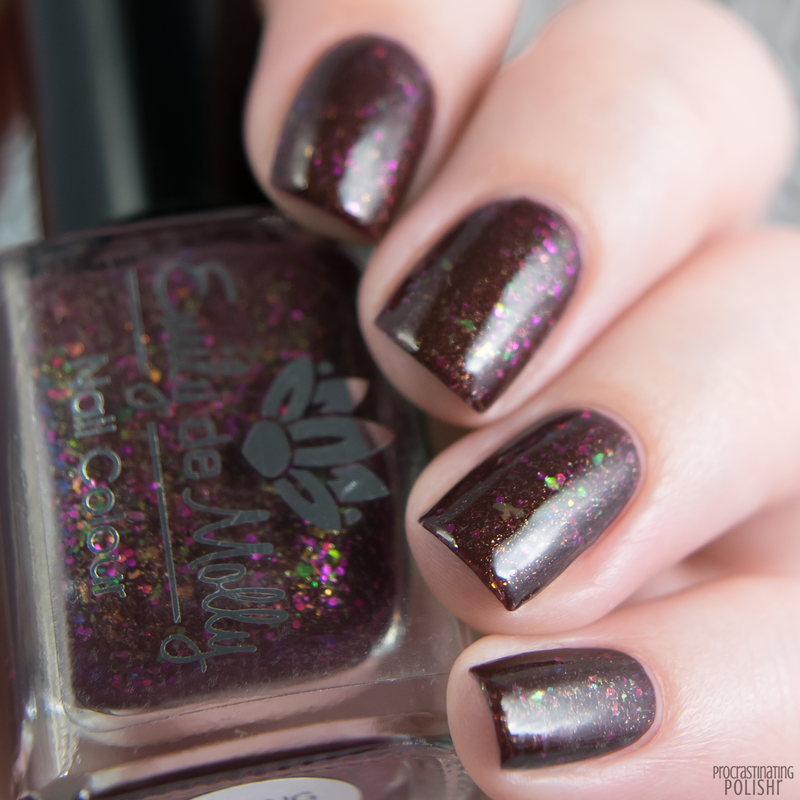 A deep oxblood jelly with a golden green shimmer, fuchsia micro glitter and iridescent green flakes. 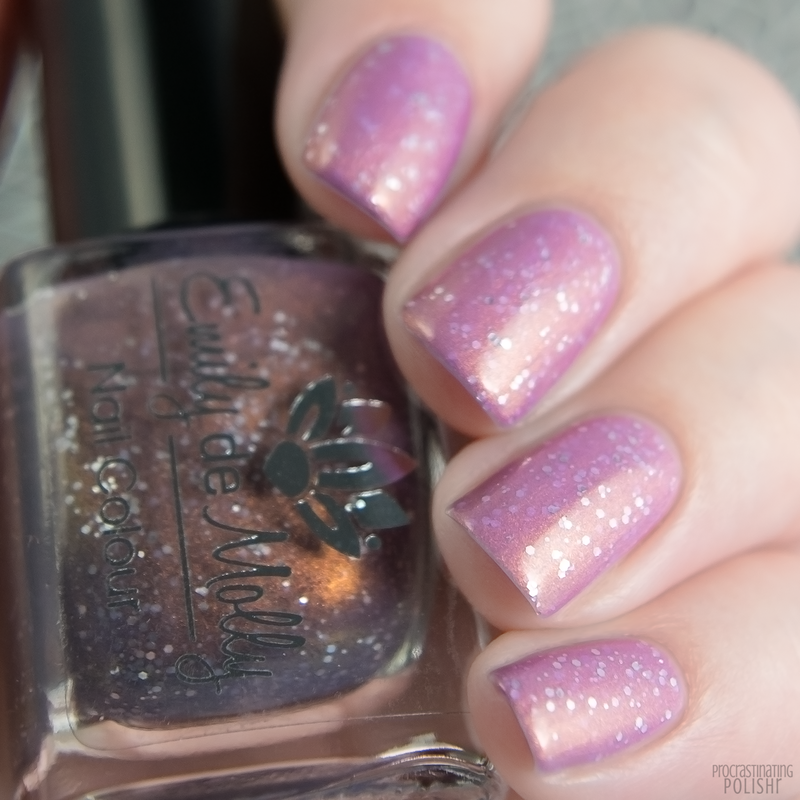 This polish is the absolute bomb! 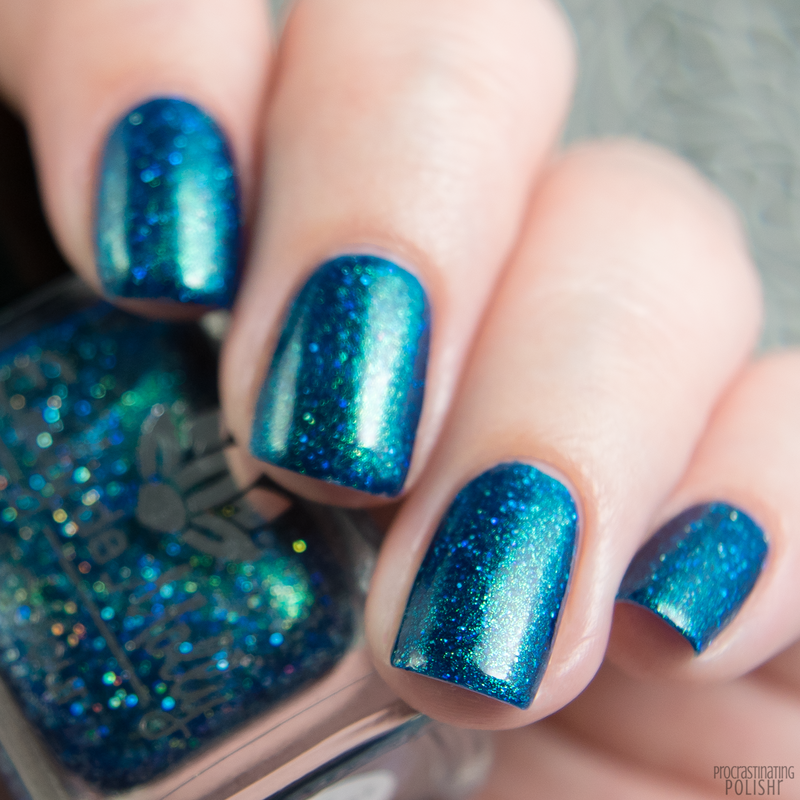 It's rich and complex with pops of bright colour from the glitter and flakes. A really unique combination of colours that works perfectly. The formula is perfection - super smooth and effortless to apply. 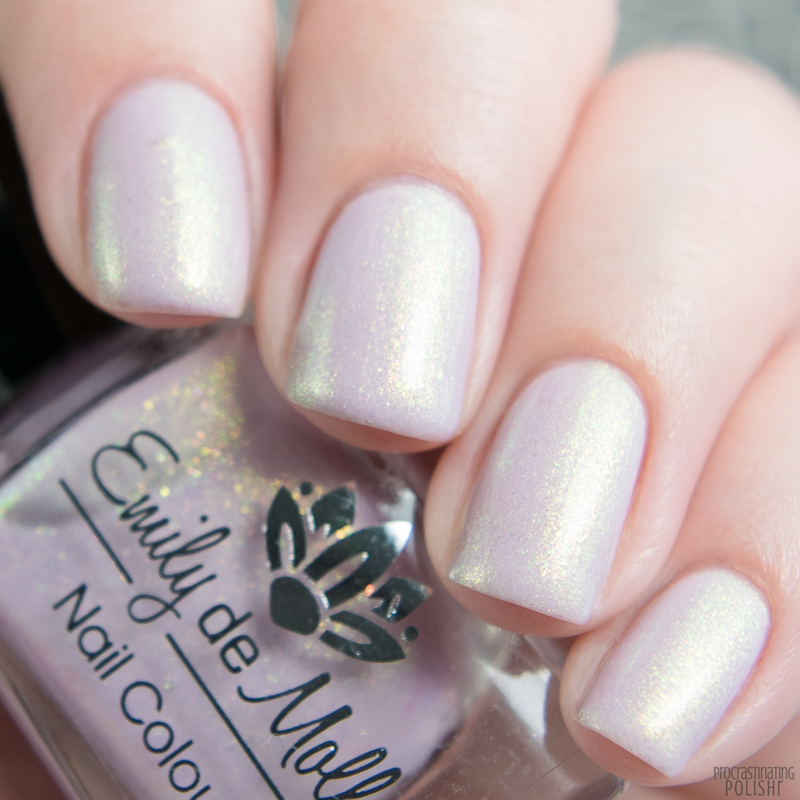 All the elements spread across the nail so easily and it's got a nice naturally glossy finish. I still used a thick glossy top coat because jellies always sing with a glassy finish. It's also super pigmented, opaque in two thin coats. 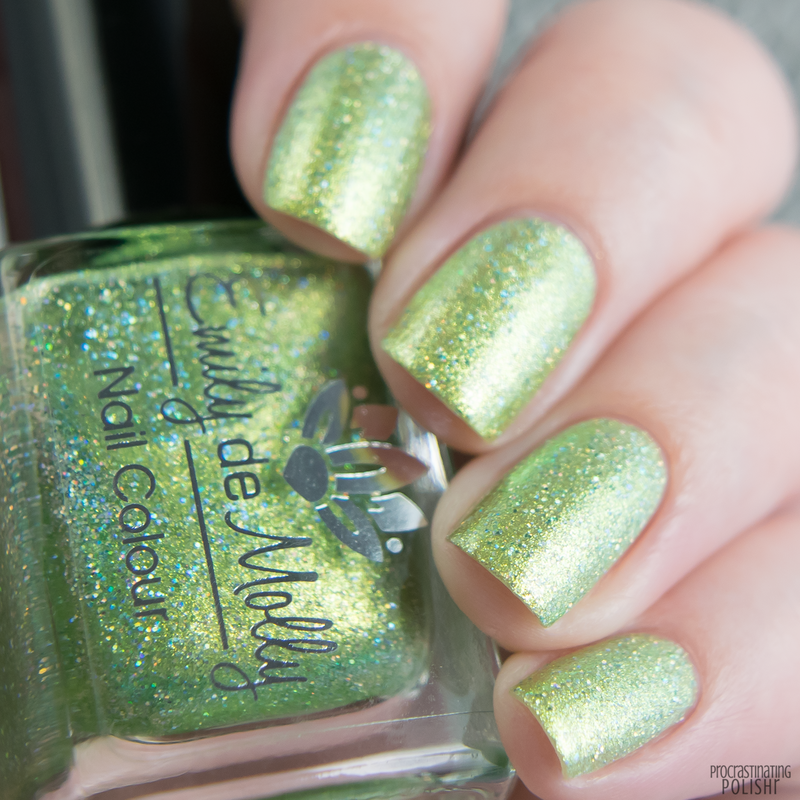 Ultra metallic, sparkly AF chartreuse dream with a golden green shimmer and silver holo micro glitter. This is one of those fabulously obnoxious colours that you're either going to love or hate, and I LOVE. 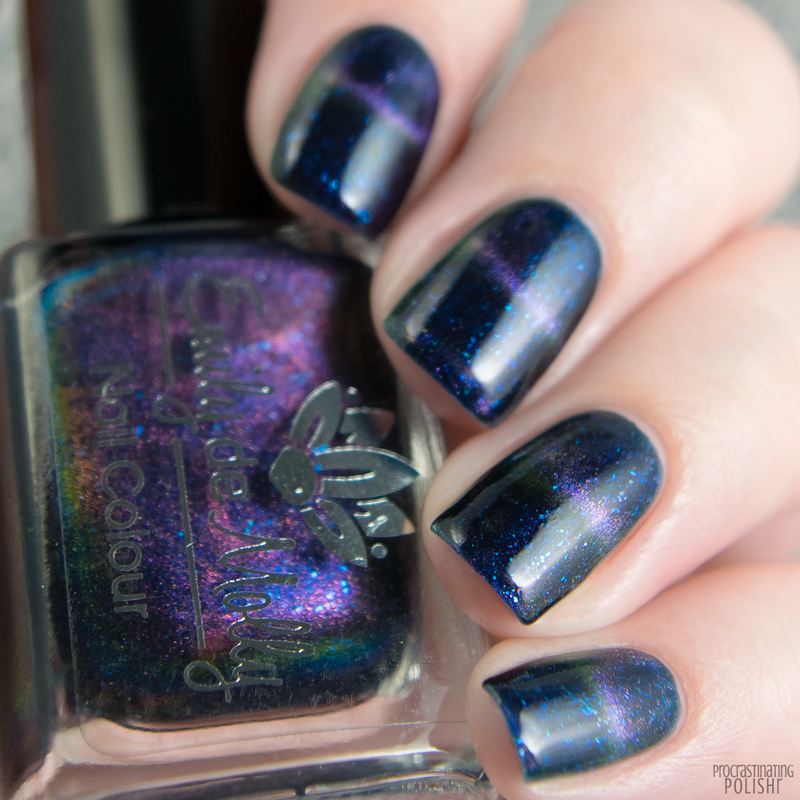 If you like your polish bright and shimmery, this is an absolute must! Great formula that applies smoothly - all that shimmer and glitter and it doesn't drag or bald. It takes 2-3 thin coats for opacity. It self levels well but it does have a hint of texture when it dries down, so I recommend a thick top coat for a smooth glossy finish. 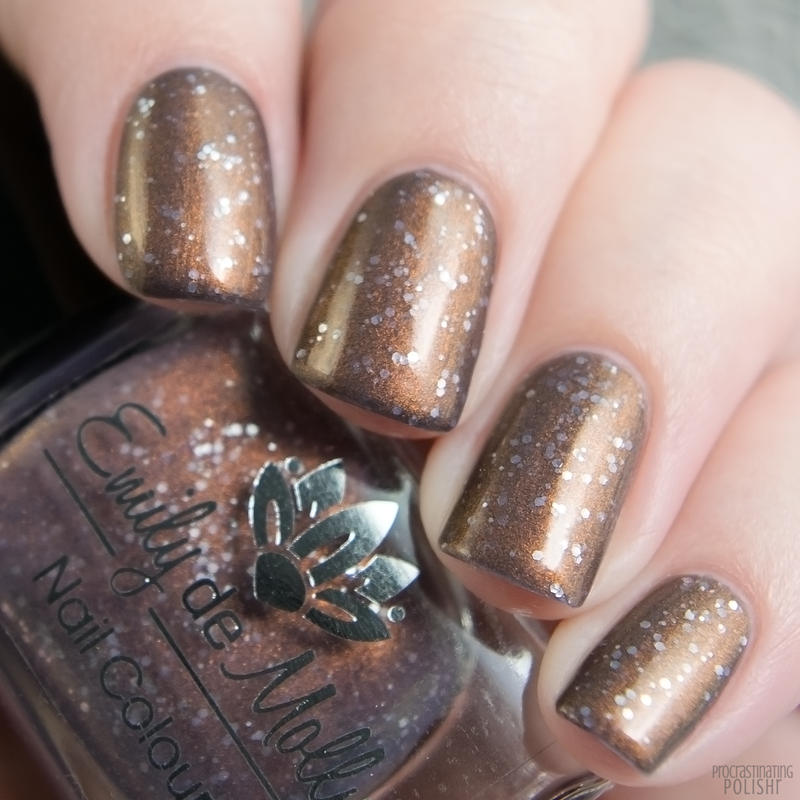 A pale pink to brown thermal with a strong copper shimmer and silver metallic mini hex glitter. 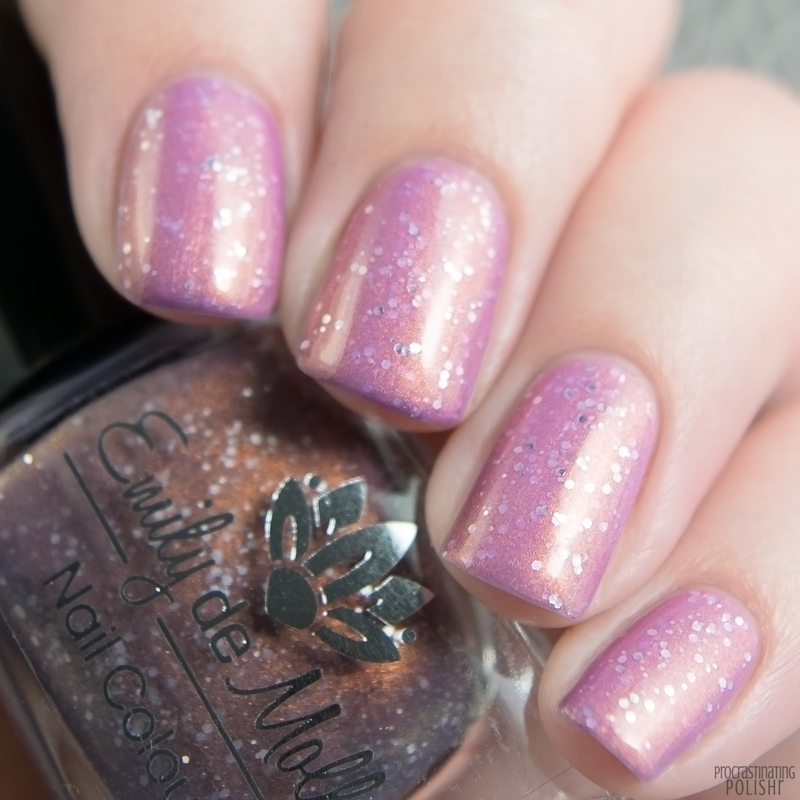 In the warm state it's a sweet and creamy pink that takes on hints of a lilac tone in certain lighting, and in the cold state it's a gorgeous warm brown - it's like strawberry filled chocolate truffles. 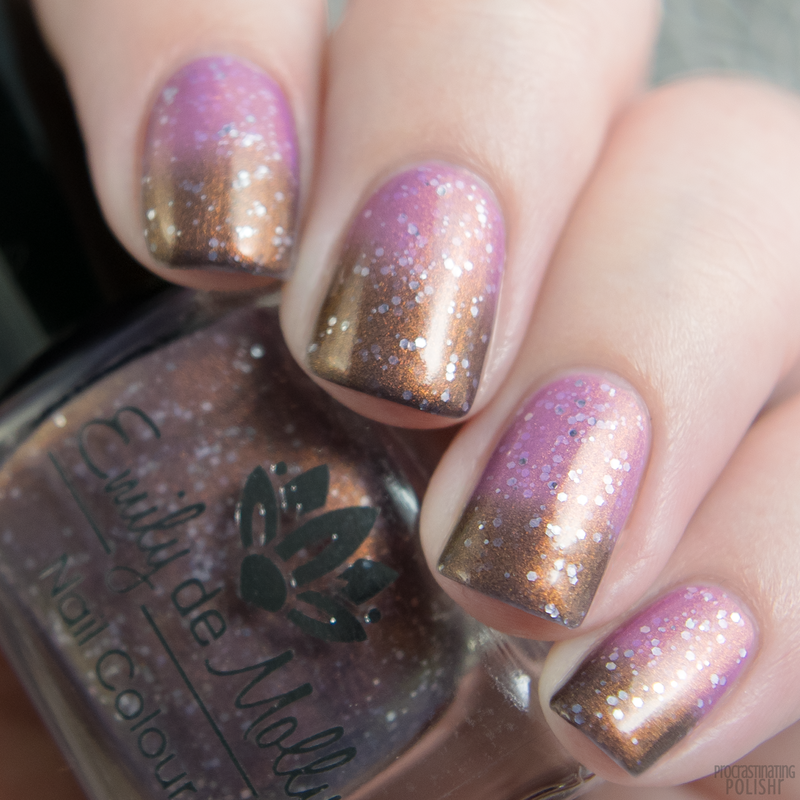 The copper shimmer brings this to life with a beautiful generous warmth. 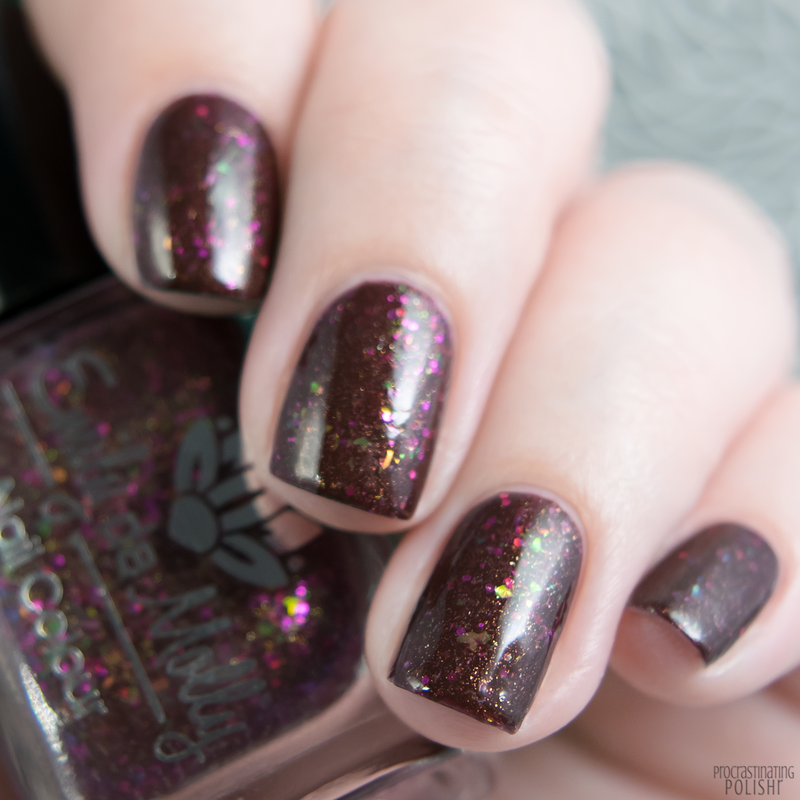 This one also has a beautiful formula - glitters spread evenly across the nail with minimal effort and don't cause major bumps in the finish. It's also nicely pigmented needing just two thin coats for perfect opacity. Steely mid-blue crelly with green and fuchsia micro glitter and green chrome flakes. 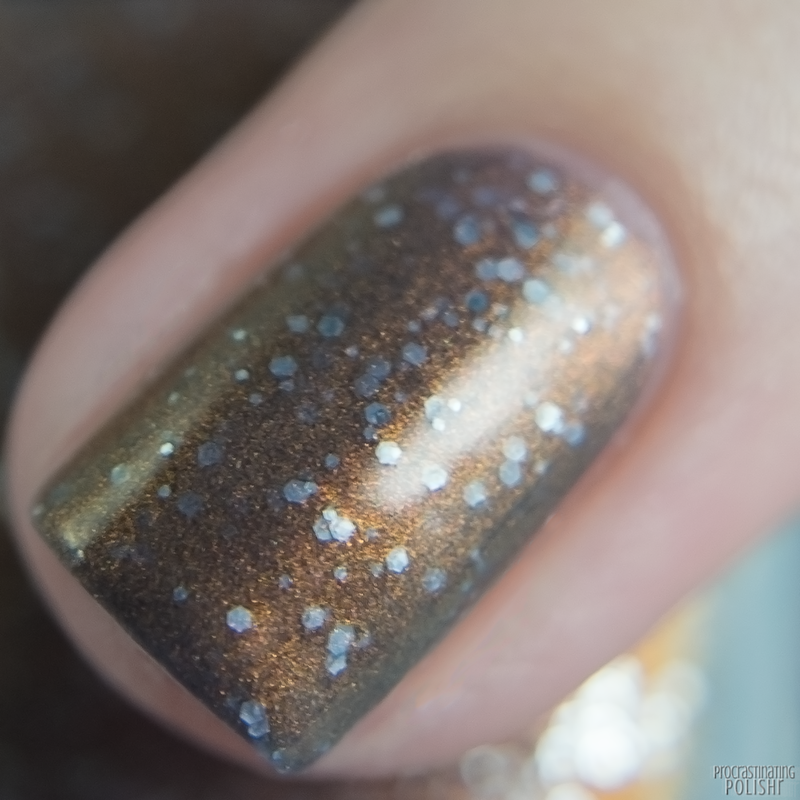 This gives me major flashbacks to my first ever indie polish - crelly + metallic glitter is such a classic indie combo to me. The addition of the green chrome flakes give this a great modern edge. As you'd expect the formula is lovely, easy to apply and self levels beautifully. The glitters and flakes all spread evenly settle flat without much effort, though they do cause minor bumps in the finish which a nice thick top coat easily takes care of. It seems sheer on the first coat but is opaque in 3 thin coats or 2 medium coats. 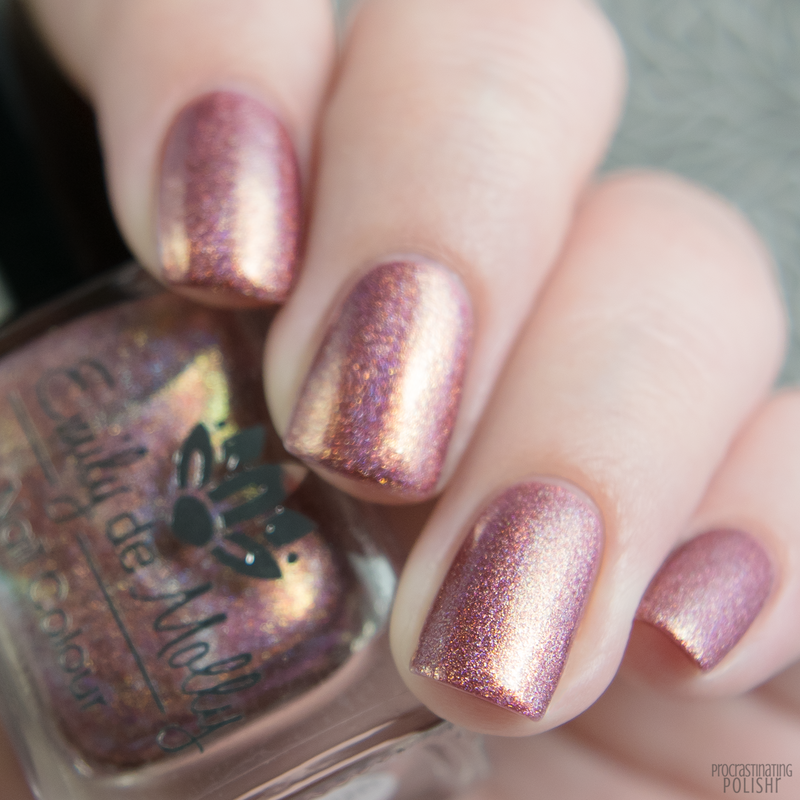 Coppery rose foil holo with a warm gold shimmer. 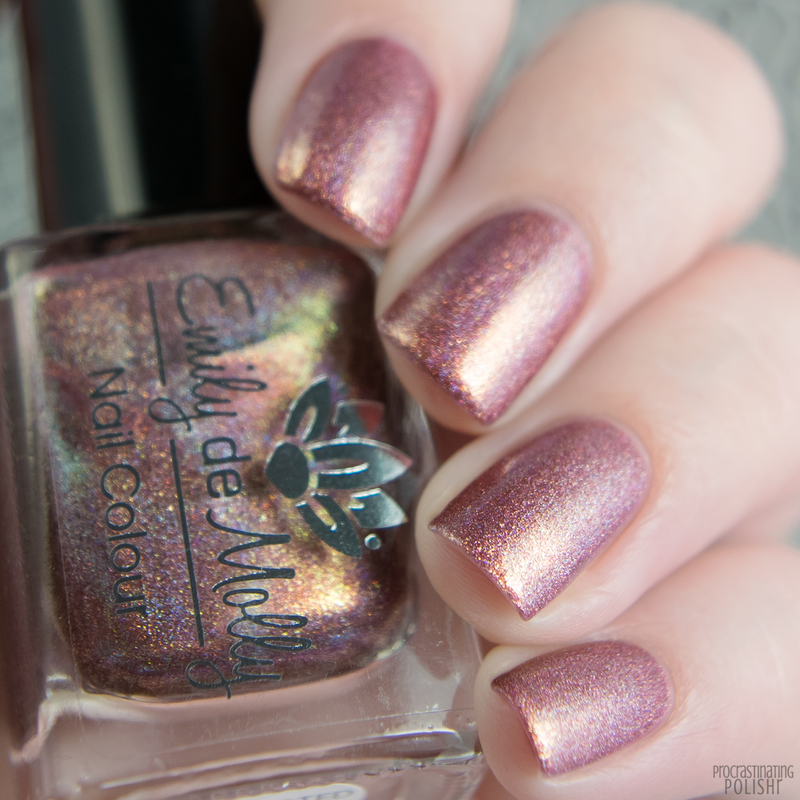 This is one hell of a colour to try and describe - it's quite red, but also pink, with amazing orange and gold tones and then a rainbow of holo sparkle. It's amazingly sparkly and shimmery, it's absolutely alive on the nail and a powerhouse of colour. 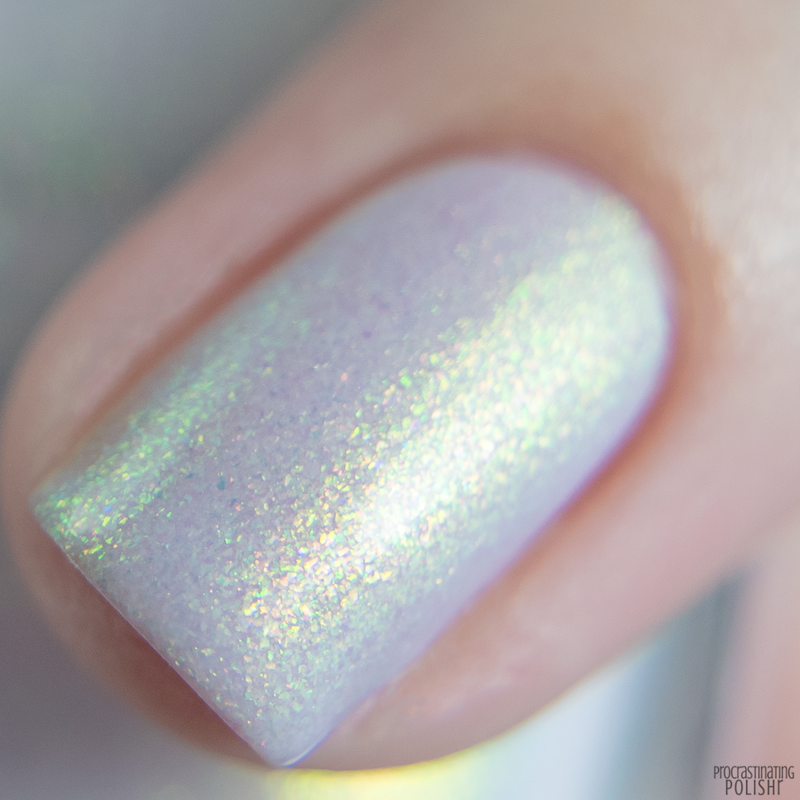 The formula is absolute perfection, just two thin coats for solid opacity and a gorgeously smooth finish. I do recommend ridge filler with this one if you have ridgey nails. 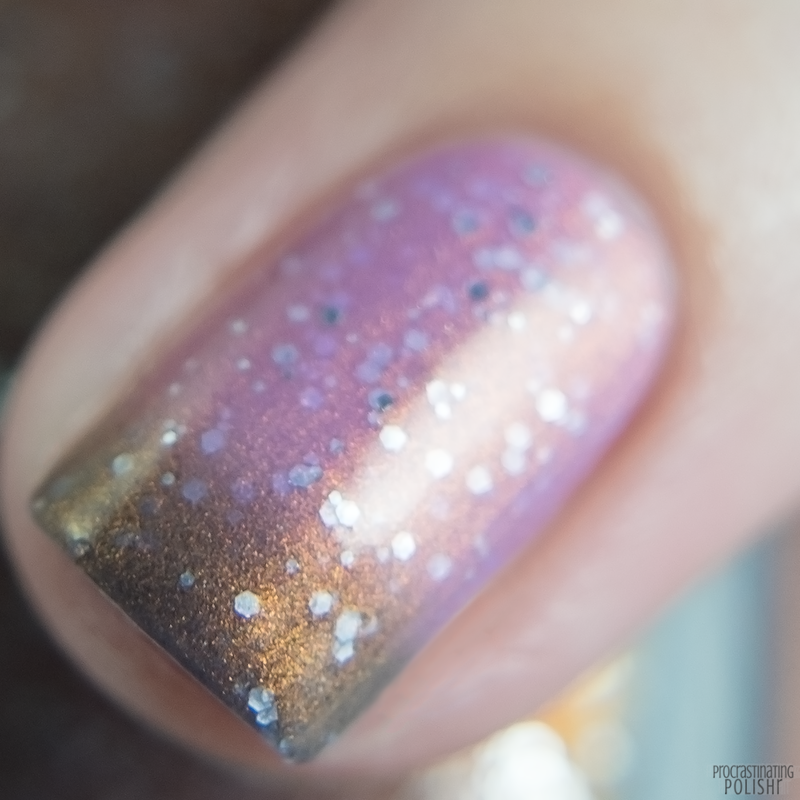 I used a thinner top coat with this to avoid dulling the holo and shimmer. 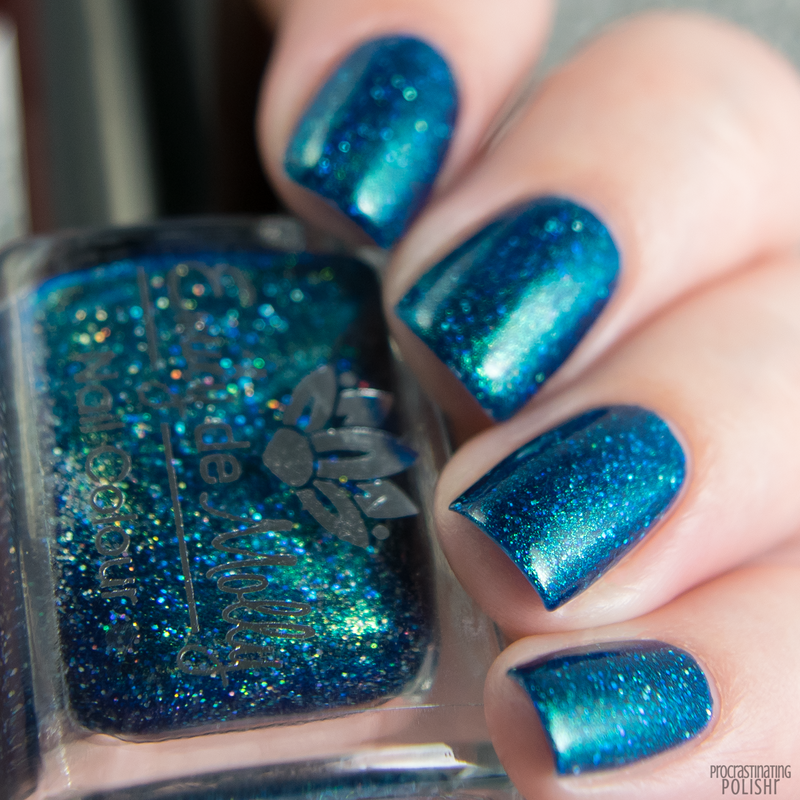 Peacock blue jelly with silver holo micro glitter and a stunning green shimmer. Major swoon. 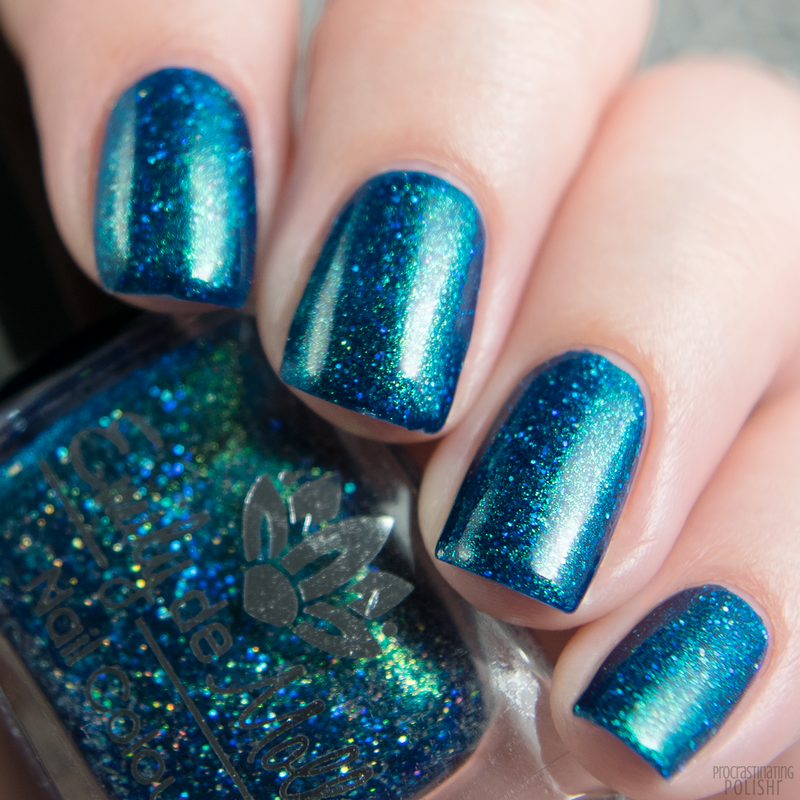 Blue jelly is my heaven, and blue jelly with this glowing golden green shimmer practically makes me weak at the knees. 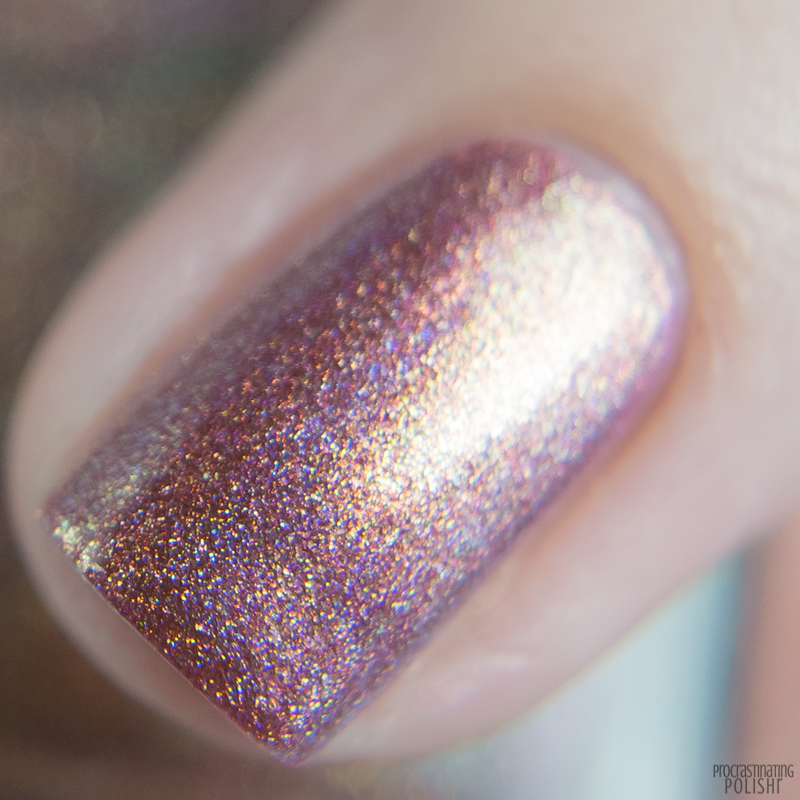 It's so rich and deep and sparkly and I'm very in love! It's also perfection to apply, it glides on smooth and self levels beautifully. Glitters spread effortlessly and lay perfectly flat. It's super well pigmented needing just two thin coats for solid opacity. Use a good glossy top coat for the ultimate glassy finish. 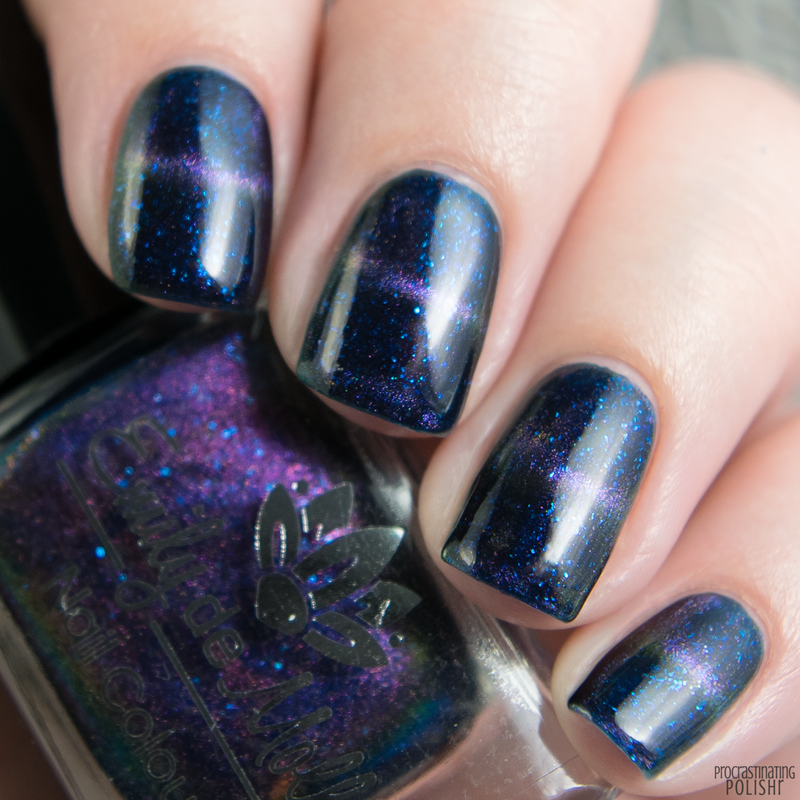 Dark blue jelly with a magnetic multichrome overlay and iridescent blue flakes. The magnetic overlay shifts through purple, green, and gold. 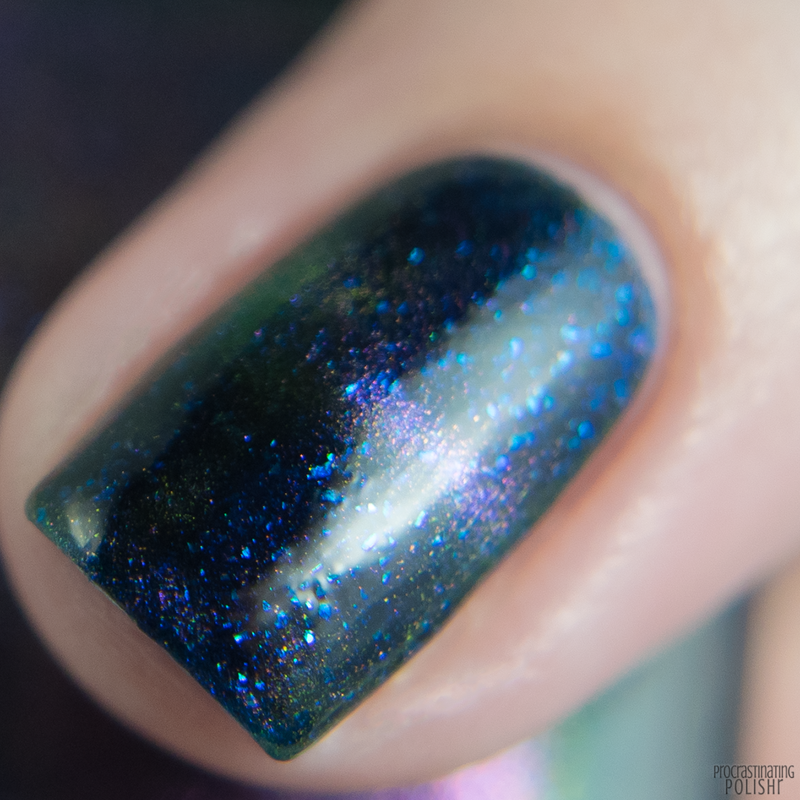 I love the way the manipulated shimmering multichrome pops agains the rich blue base, and it's also stunning applied like a regular polish. 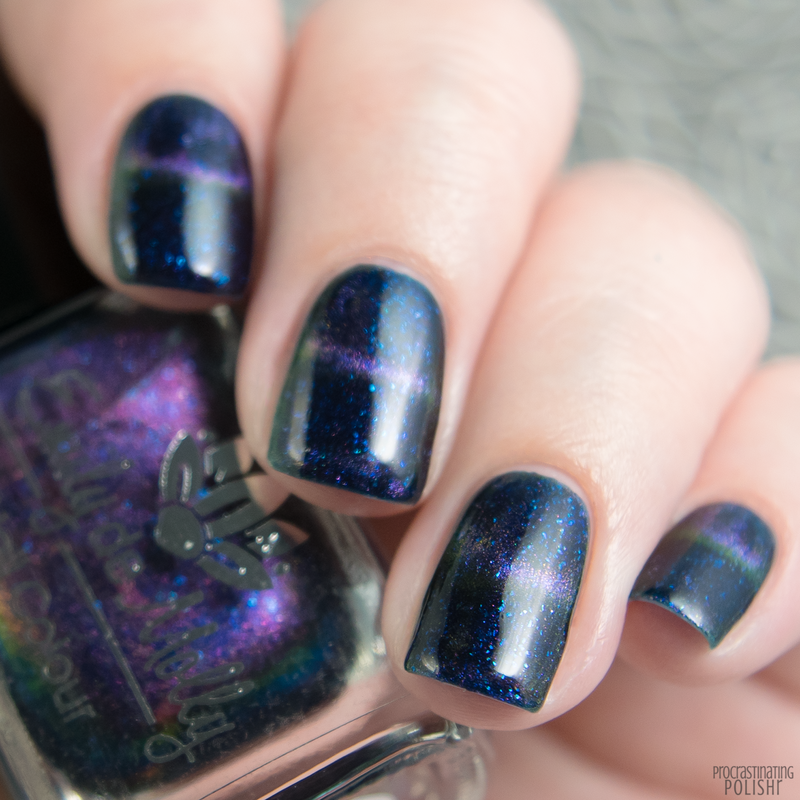 It's easy to manipulate with a magnet - I only have a basic bar magnet and loved the simple line effect but I've seen how it looks with other special effect magnets and I think I'm going to have to pick some up, I'm so on board with magnetic polish right now! This has a gorgeous formula, applies super smooth and self levels perfectly. The little blue flakes were 99% perfect, just a handful had pointy little edges that popped through the smooth surface. A nice glossy top coat will smooth this out. It's also beautifully pigmented, opaque for me in 2 thin coats. Pale greyed lilac crelly with a magical aurora shift. It's got that ultra fine glass fleck/iridescent flake look that gives it a stunning translucent quality without actually being sheer. 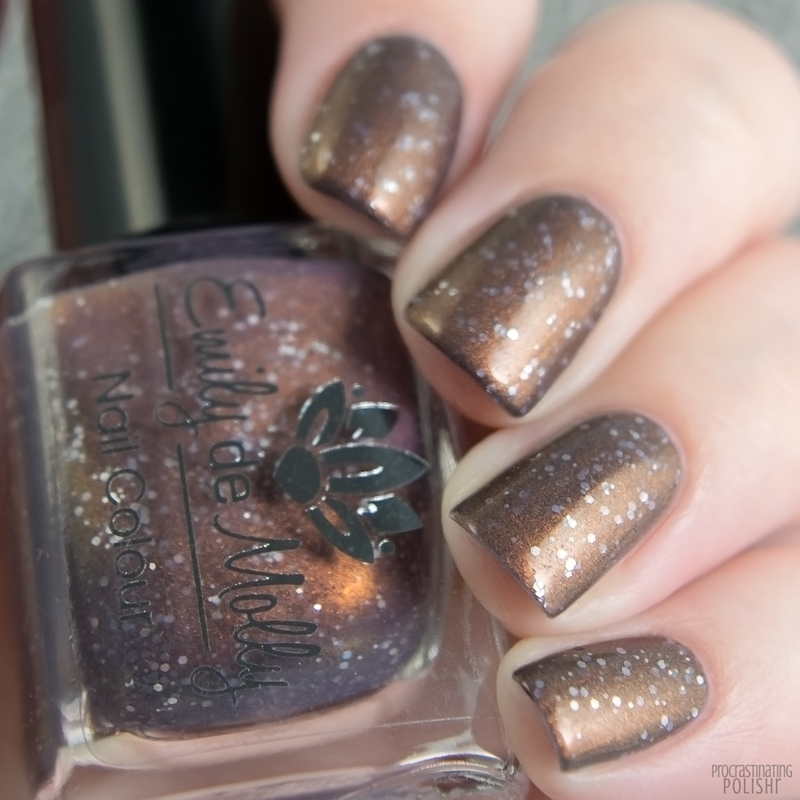 I'm completely awestruck at how beautiful this is - I usually prefer bolder shades but this managed to win me over so much I wore it for an entire week. It applies beautifully - it appears patchy at the first coat but it self levels well on the second and third coats for a gorgeous smooth finish. It builds to perfect opacity in three thin coats. Give it a thick and glossy top coat for a perfect juicy finish.